« The Amazing Raise is Sept. 18-19! InLight is Nov. 8! Mark your calendars! 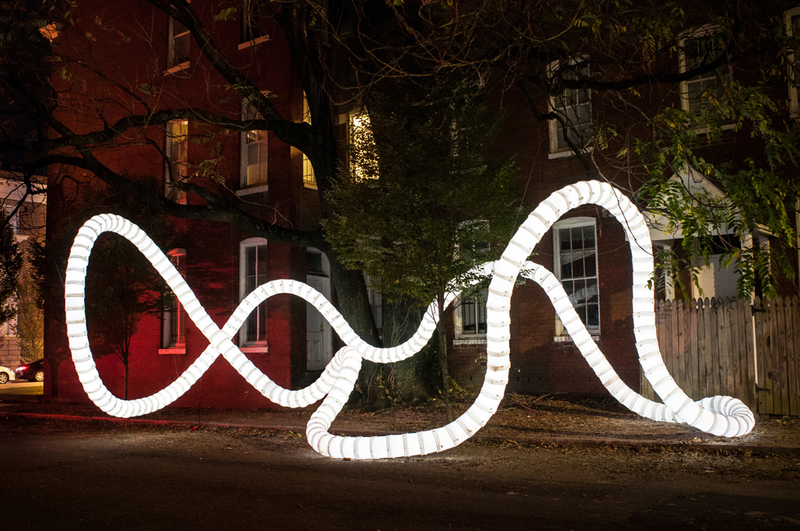 Organized by 1708 Gallery, InLight Richmond is a public exhibition of light-based art and performances. Each year, InLight Richmond encourages artists to respond to a particular section of our diverse city, attracting audiences to unique areas of Richmond. InLight Richmond 2013 will be held on Friday, November 8, 2013 in downtown Shockoe along the Canal Walk from the Turning Basin to 17th Street. This year’s juror is Ken Farmer, the Co-Founder and Creative Director of Nuit Blanche New York, producers of the annual Bring to Light: Nuit Blanche Festival. The InLight Richmond 2013 exhibition will present interactive projects, large-format projections, sculpture and performances that will engage the dynamic site. InLight will kick-off with a Community Lantern Parade at 7:30 p.m. on Friday, November 8. 1708 Gallery is organizing free lantern- making workshops throughout the fall to provide an opportunity for the Richmond community to participate in InLight. Please visit www.1708gallery.org/inlight for more details. This entry was posted on Monday, September 23rd, 2013 at 8:30 am	and is filed under Around Town, Events, Exhibitions, Inlight, News. You can follow any responses to this entry through the RSS 2.0 feed. You can leave a response, or trackback from your own site.